Do you ever feel like you’re constantly helping friends or family members solve their problems without receiving the same assistance in return—or do you think you ask too much of loved ones and don’t return the favor often enough? 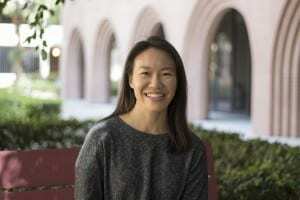 Both receiving and giving social support are important and need to be kept in balance for optimal psychological well-being, according to a study led by USC Leonard Davis School of Gerontology PhD candidate Diana Wang. Independently, both receiving social support and giving social support to others have each been associated with better psychological well-being, but until now, very little research has compared both forms of support in relation to well-being across the lifespan, Wang said. Her research now suggests that having an imbalance between giving and receiving support can result in negative psychological effects, she explained. However, these associations vary depending on age. Wang examined national data from more than 1200 participants in the Study of Midlife in the United States (MIDUS) who were surveyed about their perceptions of the support they give to and receive from spouses, other family members and friends, as well as measures of psychological distress. Support given to others was measured by reports from participants about how much their friends, family members or spouses rely on them in a crisis or open up to them about personal worries, or vice versa for support received from others. Wang found higher levels of perceived stress and symptoms of depression or anxiety in those who report social support imbalances in either direction. Problems can arise when an individual is “under-benefitting” by giving more support than what they receive or “over-benefitting” by receiving more support than they give to others, she explained, though under-benefitting appears to be more detrimental. “One hypothesis may be that older adults are less distressed with either form of imbalance because they can rationalize that they have a history of ‘support payments’ to or from their network members that alleviate the imbalance,” she said. Another finding that Wang found especially interesting was that over-benefitting from the support of friends didn’t seem to cause distress when compared to over-benefitting from the support of spouses or other family members. She suggested that it is possible that people may be more likely to end relationships with friends from whom they receive unsolicited support, but added that it may feel more like the norm to receive more than one gives to friends, and thus be less stress-inducing. Wang plans to continue her research on the pathways through which social relationships influences health. She is currently studying whether recalling support-giving memories will lead to healthier physiological responses to stress, measured by heart rate and cortisol. In addition, she will examine how the hypothesized protective effects of support-giving may vary depending on whether people feel that they are in imbalanced relationships. “By understanding the contexts in which social support can benefit people’s health, and how it changes throughout the lifespan, I hope that my work can inform the design of psychosocial interventions and opportunities for engagement in later life,” she said. The article, “The psychological costs of social support imbalance: Variation across relationship context and age,” first appeared online in the Journal of Health Psychology in February 2017 and was coauthored by Tara Gruenewald of California State University, Long Beach. The study was supported by National Institute on Aging grant T32 AG000037.